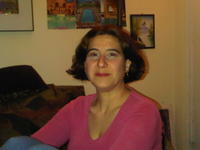 Michelle Colletti, MA, OTR/L, has been in practice as a licensed Occupational Therapist since 1991. She joined Greenhouse Therapy Center in 2013 and is available for parent consultations or for regular pediatric occupational therapy treatment of sensory integration disorders, learning disabilities, or developmental delays. "Imitation, Mirror Neurons, and Autism"
"Motor Planning, Mirror Neurons, and Autism"
"The Mixed-UP Sensory World of Autistic Children"